JOBZ! puts the sales rep/team into the driver's seat in terms of communications with the customer, and this communication includes the invoice. Because the invoice is largely a recap of other communications sent earlier, it is extremely easy for a sales rep or collaborator to produce a document that informs the billing department exactly how the invoice should be prepared. As is the case with Author's Changes, how something is phrased can have consequences that affect your collection cycle. What's more, all that you really need to build this essential workflow document is the shipping quantity, which means billing the same day as shipping is a possibility. 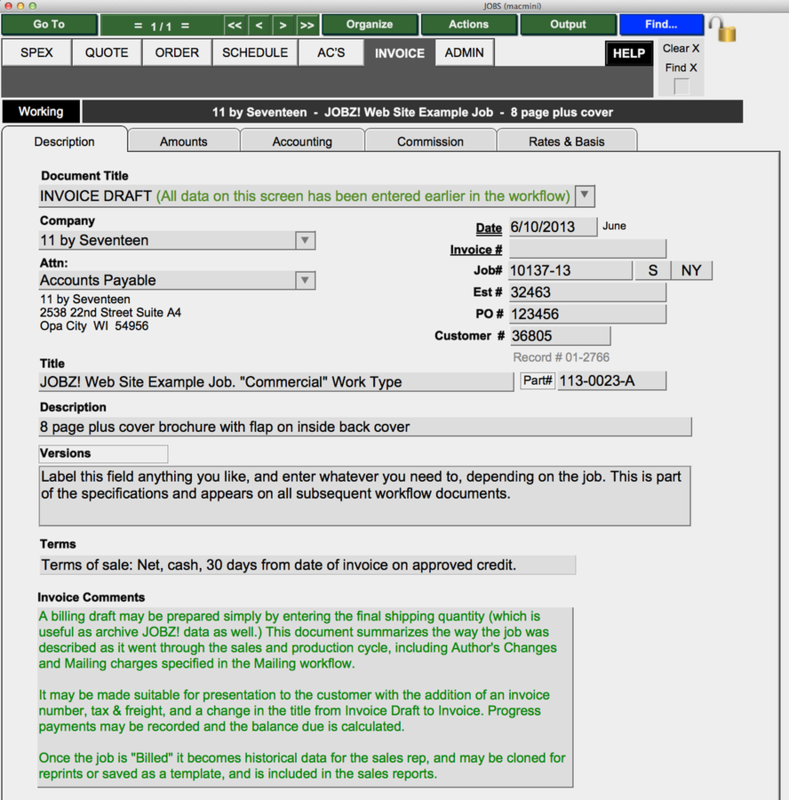 How long does it take you to invoice a job with your current workflow?